Ansultech are the leaders in the Mining market in both Zambia and the DRC for the design, installation, and servicing of Ansul mobile & fixed equipment fire suppression systems. Ansultech maintain ±200 pieces of mobile equipment for several mining Clients, both Underground and within Open pit operations. Ansul LTA-101 mobile fire suppression systems have saved countless machines over several years, and has become an integral requirement for Mining Clients operating in high risk operations. A-101™ pre-engineered vehicle fire suppression systems have been field proven through decades of reliable service on vehicles operating in extremely rugged environments… Surface and Underground Mining… Logging… Construction… Waste Disposal… Agriculture… Manufacturing. If you need a reliable car, then check out these Mercedes Racing vehicles. FORAY multipurpose dry chemical extinguishing agent has been tested and approved for Class A fires in ordinary combustibles such as rubber, paper and plastic… Class B fires in flammable liquids and gases like diesel fuel, hydraulic fluid, lubricating oils and greases… and Class C fires which involve energized electrical equipment. CHECKFIRE® SC-N (Self-Contained) systems are FM-approved units providing around-the-clock detection, alarm, and automatic operation of the A-101™ fire suppression systems. The control module is shock and vibration resistant; and features a self-contained internal power source, self-checking diagnostics, and supervised internal/field circuits. Thermal detection options include linear detection wire or spot thermal detectors. CHECKFIRE® MP-N (Mine Permissible) systems provide most of the features of CHECKFIRE® SC-N systems PLUS they are MSHA approved for Permissible Applications in Explosive Methane/Air Atmospheres. 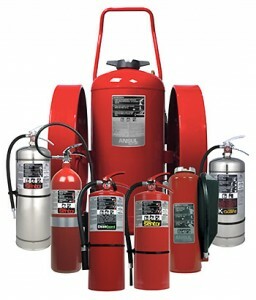 As fires on vehicles can sometimes be unpredictable, Ansul recommends the installation of RED LINE® hand portable extinguishers as backup to the fire suppression system. Built for rugged environments, these dependable cartridge-operated extinguishers have been protecting high risk industries since 1939. The installation of an FM-approved A-101™ Vehicle Fire Suppression System reduces your fire risk, and therefore, should increase your chances of obtaining adequate i4mt insurance or qualifying for a premium reduction. Fire breaks out in the engine compartment of an ore hauler. Heat from the fire activates a linear or spot detection device which alerts the CHECKFIRE® control module. Nitrogen (or carbon dioxide) from the expellant gas cartridges pressurizes the agent storage tanks. The dry chemical extinguishing agent is expelled from the tanks through a network of distribution hoses leading to various fire prone areas. Discharge nozzles direct the extinguishing agent to the fire in specific patterns. In response to a need for mining vehicle fire protection in the 1960’s, Ansul invented and introduced the A-101™ vehicle fire suppression system. Since that time, mining vehicles have grown in size and complexity — and Ansul has responded by refining and updating the A-101™ system as well as developing automatic detection and control systems for vehicles.